KAUKAUNA — Kaukauna firefighters were called out on a rescue mission today. 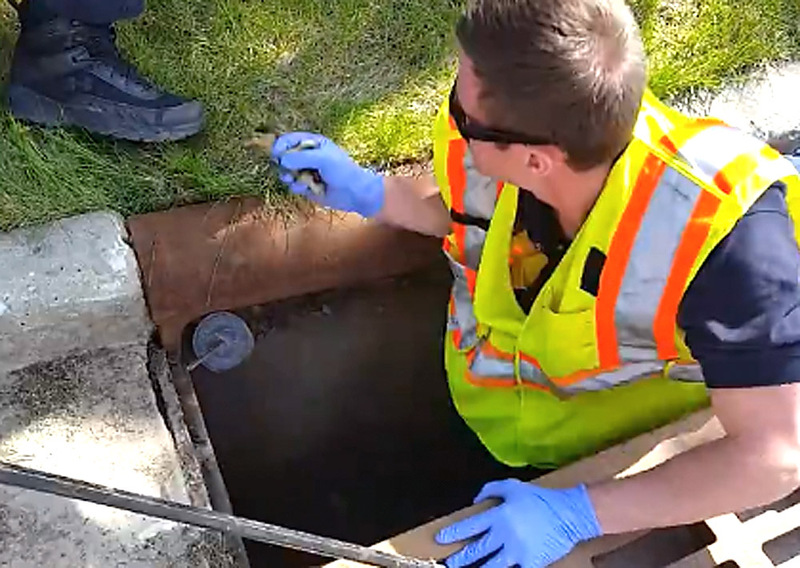 Up to nine ducklings had fallen through a grate into the storm sewer at 16th and Main streets. As the mother duck squawked loudly nearby, firefighters pulled the ducklings out one by one. The Kaukauna Fire Department posted a video of the rescue on it’s Facebook page Monday, May 8, 2017. In the video, one firefighter climbs into the storm grate opening and reaches down to pull out the ducklings. Several dive back in after being rescued. As he pulls each one up they scamper quickly to the mother nearby. Once she collects all nine, they waddle off into the neighborhood. Incidents like this are common this time of year as awkward newborns are so small that they easily fall into the storm sewers.